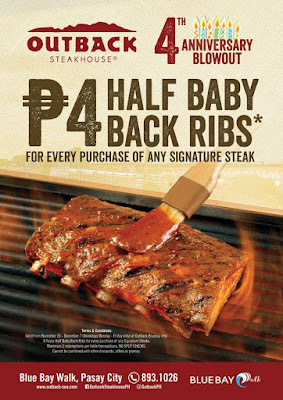 Outback Steakhouse Blue Bay Walk is celebrating its 4th Anniversary! And, what better way to celebrate than offer a great anniv promo! 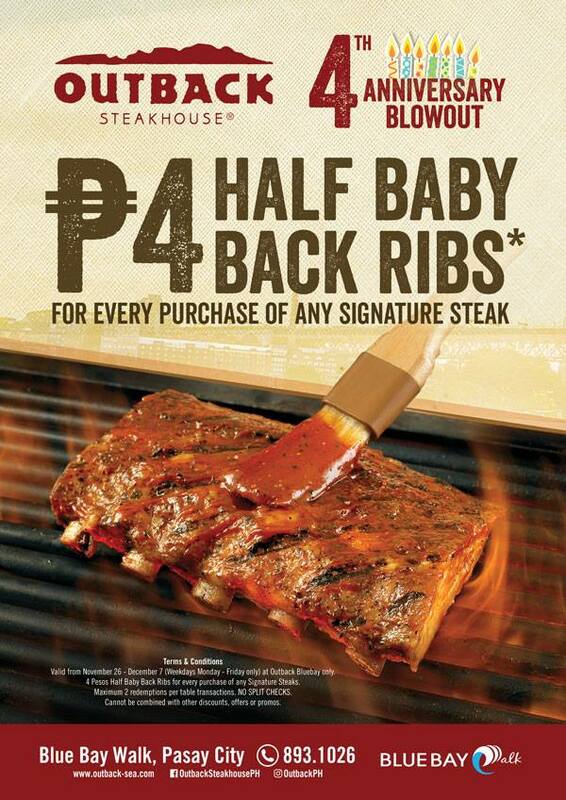 Enjoy a Half Baby Back Ribs for only P4 for every order of any Signature Steak. The Promo is valid on weekdays only, Monday to Friday from November 26 to December 7, 2018. Maximum 2 redemptions per table transactions. No split checks. For inquiries and reservations, please call Outback Steakhouse at (632) 893-1026.